With the multimedia resurgence of Star Wars, I’ve been waiting for this kind of crossover between Marvel and Del Rey Books. Not merely an adaptation of a movie or an extant novel, like the excellent Thrawn, but half the tale being told in comics and the other side in novels. Will it work? Are fans flocking to both? 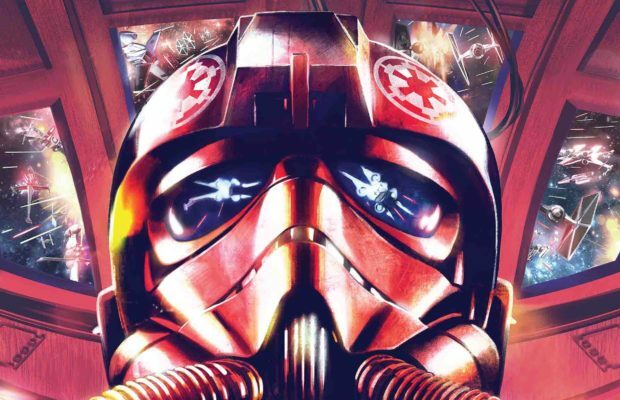 I’m just really intrigued to know, and in this case interested that Marvel has taken the Empire’s side with Tie Fighter #1. 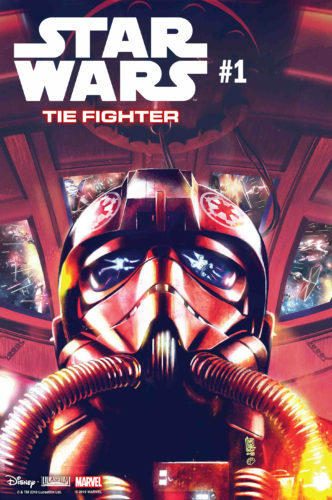 The war against the Rebellion has put the entire galaxy at risk, but elite squadrons of TIE fighter pilots still fight to defend the Empire and bring fury down upon the Rebel Alliance! Just how far will the Imperial SHADOW WING go to win the war? Find out this April in an all-new mini-series from Jody Houser (Thrawn, Age of Republic) and Roge Antonio (X-Men Red), as they weave a TIE fighter tale that chronicles the struggles and triumphs of the heroes of the Empire! Look for the exciting all-new story this April, when TIE FIGHTER #1 hits comic shops, and visit StarWars.com for more details! As for the heroes of the Rebellion? Don’t miss the first book of TIE FIGHTER’s sister novel series, STAR WARS: ALPHABET SQUAD from Del Rey books, on sale this June!